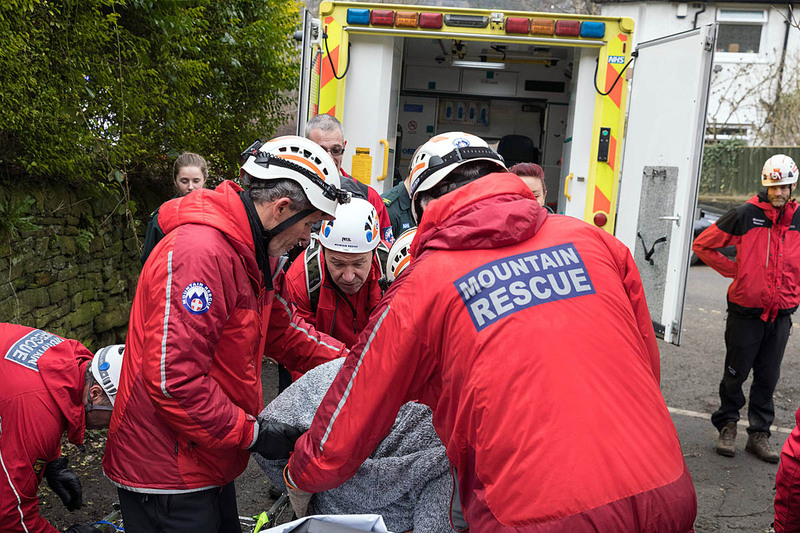 Within seconds, men and women begin gathering their equipment and repacking their rucksacks, before running off down the hillside, leaving a man immobilised and strapped to a spinal board. “Don’t forget to free our casualty”, one of the rescuers shouts to those remaining on the wooded hillside. It’s a Saturday morning in a West Yorkshire country park and the men and women hurrying back to their vehicles are volunteers from Calder Valley Search and Rescue Team, and reality has just intruded into the simulations its members have been dealing with as part of their annual core training day. Twelve miles away, a woman has slipped on a path and dislocated her ankle in woods overlooking Hebden Bridge. Within minutes team vehicles are leaving the St Ives estate near Bingley, blue lights flashing and sirens sounding, with 27 trained rescuers onboard. 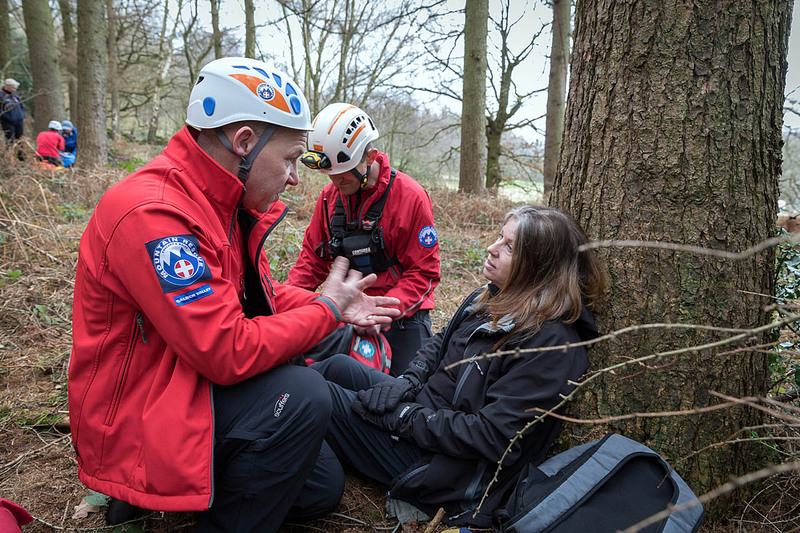 The young woman is found and given pain relief before having her ankle relocated and she is then strapped into a stretcher for a difficult carry down uneven and slippery paths to an ambulance waiting at the nearest road. 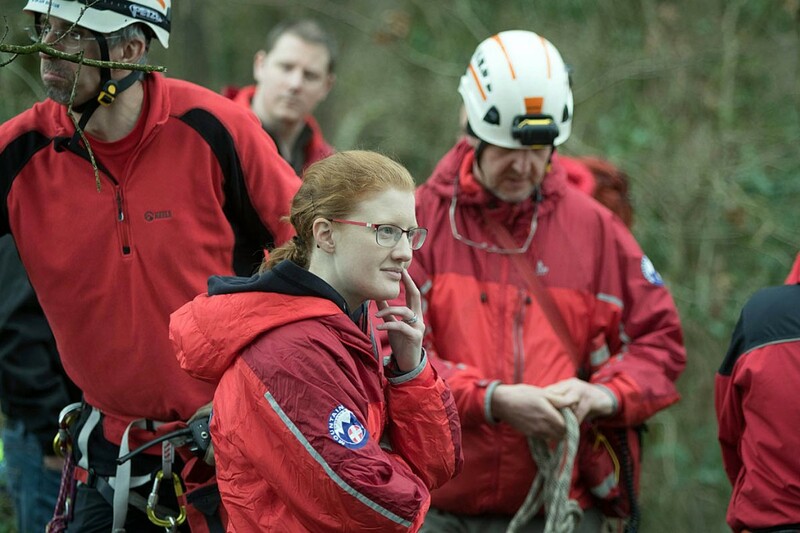 Fortunately for the team, Amy Brandreth, who was training for an attempt on the Yorkshire Three Peaks challenge, was able to supply rescuers with a six-figure grid reference while two of her friends made their way to the bottom of the path to help direct paramedics and the team to her position. 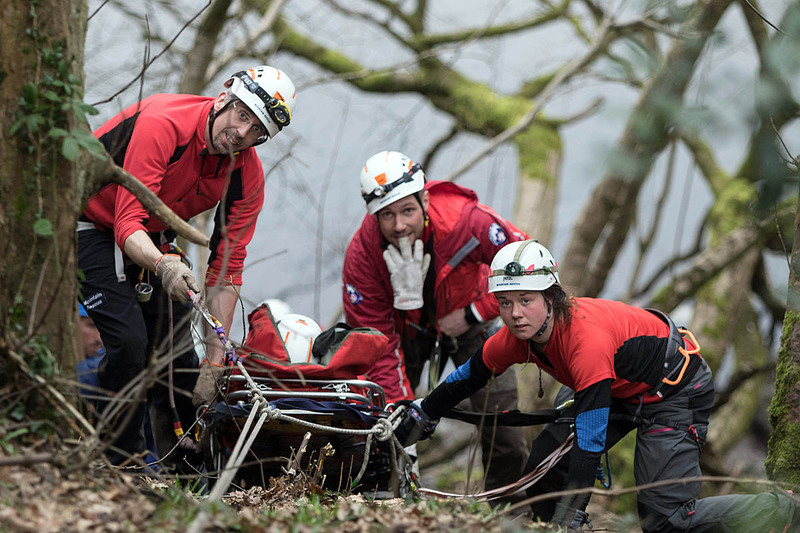 With the injured walker safely on her way to hospital, the volunteers of the Mytholmroyd-based team make their way back to their training day. Team leader Ben Carter and Howard Barton, training officer, explained: “The day was for both qualified team members and trainees who started in February, so they’re quite new into it, which is why we didn’t send them to the callout. 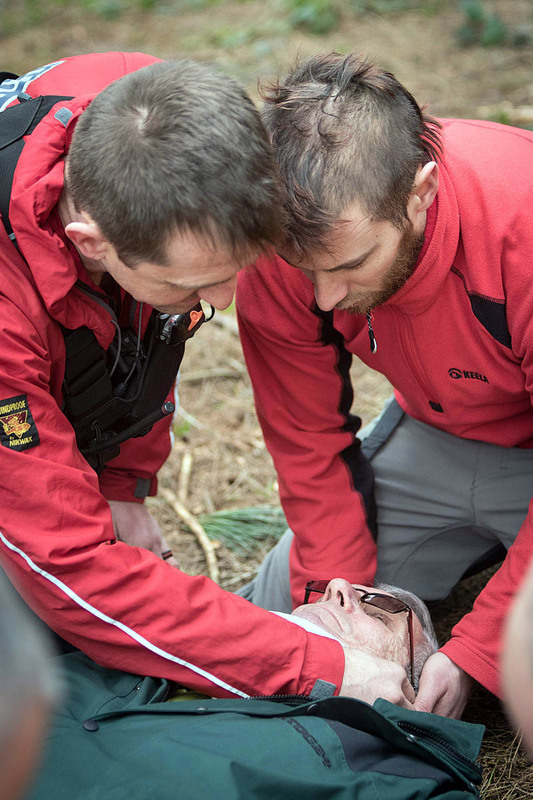 There are five ‘stations’ run in the morning, covering primary and secondary surveys of casualties; patient packaging; search techniques; navigation and steep-ground rescues. With lunch provided from a mobile canteen under a team gazebo, the members are ready for the afternoon training, offering more chances to tackle simulated rescue scenes in woods about half a kilometre away. The training officer said: “The challenge for the incident this afternoon was that the ground was really slippery so we picked that one out because it was near a rope swing and quite a few of our jobs deal with rope swing injuries out in woods . Other casualties heard this man come off the rope swing, gone to rescue him from the bottom and then just slipped. Their injuries involved glass in the head and a broken arm. Not far away, a different group is tackling another simulated incident. Halifax MP Holly Lynch is there to see the volunteers in action. Mr Barton said: “We do two scenarios because we’ve got a lot of people. We like to split them up into two different areas, so the second one was a bouldering incident. Two people had gone bouldering; one had come off, head first, down on to the ground and was in a bad way. She had a head injury and she couldn’t feel her legs. Ben Carter said: “You start making judgements though not the final decisions on the way in to the casualty. The scenarios are often set up based on realistic environments, so while you might not end up with two truly injured casualties at a live job, there are other people to care for. The site for this year’s core training day was chosen this place because it is almost the centre point of the team’s area and organisers like to choose different terrains and environments. The team leader said: “Our callout areas vary hugely. The jobs this year have been predominantly moorland and fell. We get called out to mountain bikers and have also been to boulderers and climbers as well. And there will be a number that are semi-rural. 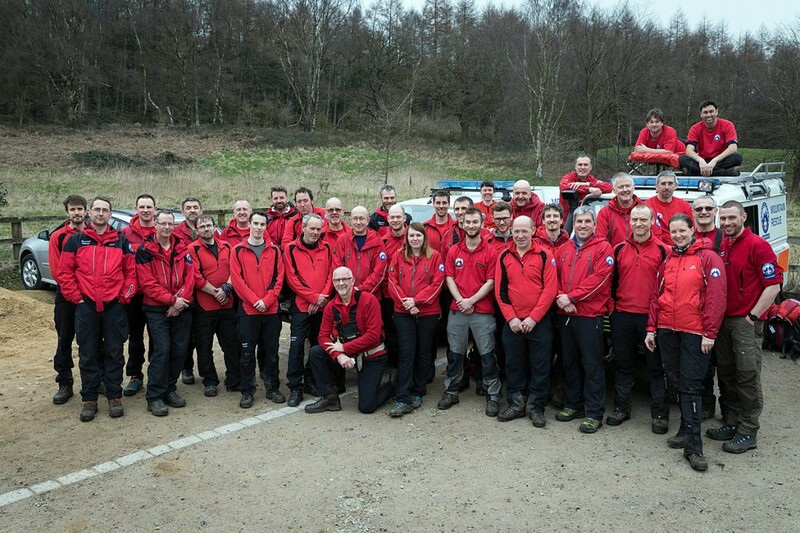 More details are available on the Calder Valley Search and Rescue Team website.